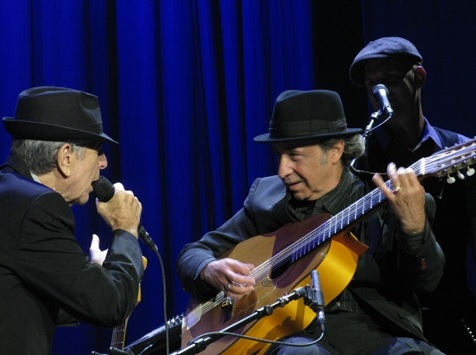 Javier Mas (2008 – 13) was born in Zaragoza, Spain and came to the attention of Leonard Cohen as the organiser and musical Director of a tribute concert in Barcelona at which Cohen’s son Adam and girlfriend Anjani performed. Mas fondly remembers ‘The first money I ever made from Music was singing Cohen songs on the beach’. He is a consummate musician who has played the Spanish Bandurria since he was 9, Laud and 12 string guitar. His long introduction to ‘Who by Fire’ and the interaction between two older men, Cohen, singing on his knees, and Mas on his stool are highlights of the Concerts. Not by accident does Cohen refer to Mas as a ‘Master’. 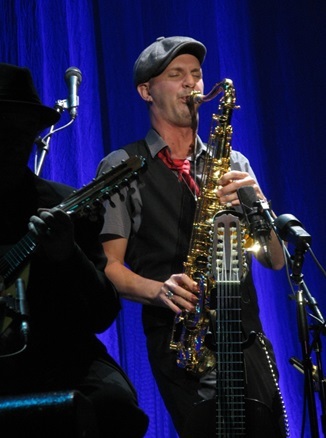 Dino Soldo (2008 – 10) is a multi-instrumentalist who has played saxophone, woodwind and keyboards on the tour. Dino grew up in La Verne, California and learnt to play the guitar and clarinet at an early age. Dino’s saxophone playing introduced a new element to Cohen’s music between 2008 -10 and was considered to be one of the concert highlights. 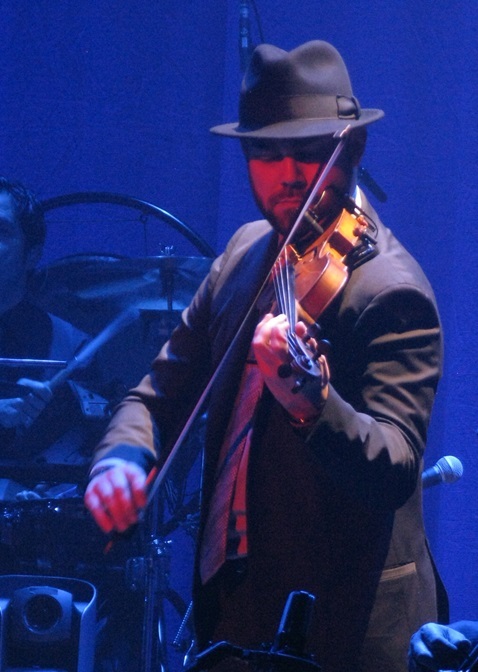 He was replaced by Alexandru Bublitchi on violin for the 2012-13 legs of the tour as Cohen had long wanted to incorporate a violinist into his band. Dino has subsequently pursued a solo career. 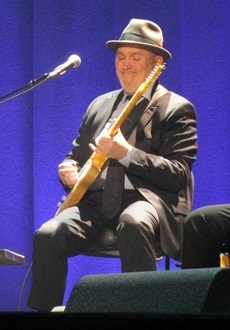 Bob Metzger (2008 – 10) lives in Boston and was a member of the tour bands with Cohen in 1988 and 1993. He also appears with Cohen on ‘My Secret Life’ on the album ’10 New Songs’ engineered like many other Cohen albums by Metzgar’s wife Leanne Ungar. Bob plays six instruments and is featured on recordings by many different artists. He was replaced by Mitch Watkins due to ill health in 2012-13. 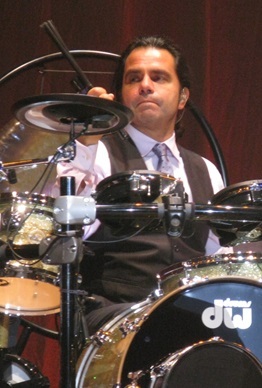 Rafael Bernardo Gayol (2008 – 13) is a Grammy nominated American percussionist and drummer who was born in Mexico City and raised in Los Angeles, California. Rafael had worked with Roscoe Beck in Austin Texas and Beck recruited him into the new band for the start of the tour in 2008. Cohen frequently and affectionately refers to Gayol onstage as the ‘Prince of Percussion’. 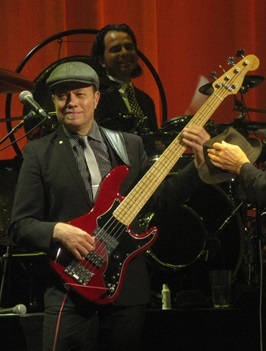 Roscoe Beck (2008 – 13) is an American Bass Guitarist based in Austin Texas who first played with Leonard Cohen on the album ‘Recent Songs’ (1979) and who subsequently toured with Cohen in 1979-80. He also assembled the band for the 1988 tour. Roscoe is a successful record producer with two Grammy Award nominations. In 1986 he produced Jennifer Warnes’ Grammy-nominated album “Famous Blue Raincoat”. 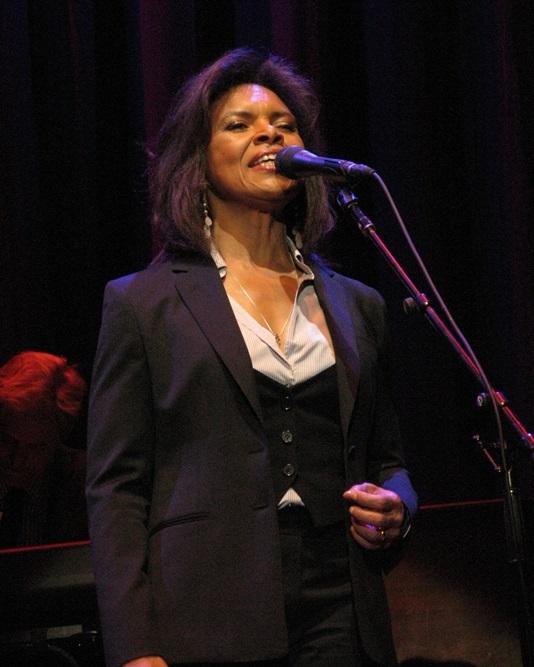 Her memorable interpretations of many of Cohen’s most famous songs is often credited with resurrecting Cohen’s career by introducing his songs to a contemporary audience. Roscoe Beck is the Band’s Music Director. 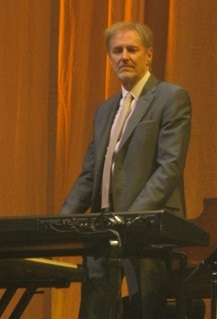 Neil Larsen (2008 – 13) Keyboardist (and accordion player!) for the 2008-2013 Cohen tours, Neil has a long history as a composer, arranger and musical director as well as a keyboard player. Artists that Neil had previously worked with include Gregg Allman, Cher, Jimmy Cliff, Miles Davis, Kenny Loggins, Randy Newman, Carly Simon, George Harrison, Doctor John and B.B. King. As a recording artist, he has recorded four solo albums, one of which was nominated for a Grammy. As a session musician, Neil Larsen has played on over 150 albums. He has also written over 60 songs on various albums. He is affectionately referred to by Cohen as a virtuoso and “the foremost exponent of the Hammond B3”. Alexandru Bublitchi (2012 – 13) is from Moldova and was a violinist with a theatre orchestra in Barcelona when he was involved in two Leonard Cohen tribute concerts organised by Javiar Mas in 2006 and 2007. As Leonard Cohen was keen to involve a violinist who could improvise it was planned Alexandru would join the Band in 2008 but visa difficulties made this impossible. In 2011 Alexandru re-established contact with Cohen when he played the violin at the Prince Of Asturias Award Ceremony in Madrid which honoured Cohen. Having subsequently obtained a Romanian passport Alexandru was able to join the Band in 2012 replacing Dino Solda. His violin playing added a unique and distinctive sound to the arrangement of Cohen’s repertoire. 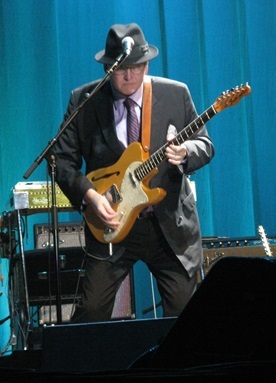 Mitch Watkins (2012 – 13) on lead guitar is also a native of Austin Texas and has long been associated with Leonard Cohen having played with him on the 1979 Field Commander Cohen tour, in 1985 and is also featured on various Cohen albums. Sharon Robinson was born in San Francisco, grew up in Los Angeles, studied classical piano with Ethel Newman and majored in music at the California Institute of the Arts. While touring with Cohen with Jennifer Warnes as back up singers in 1979 and 1980, Sharon and Leonard collaborated for the first time on the song, Summertime, later recorded by both Diana Ross and Roberta Flack. Their collaboration went on to produce such songs Everybody Knows (1988) and Waiting for the Miracle (1992). She is unquestionably the person who has had the most success writing with Cohen and they have worked together on and off for over 35 years. Cohen is Godfather to her son Michael. A Grammy award-winner for her writing, Sharon’s songs have been recorded by a wide variety of artists including Patti LaBelle, Aaron Neville, the Temptations, Michael Bolton, Randy Crawford and Don Henley. Her more recent collaborations with Leonard Cohen can be heard on both ‘Ten New Songs’ (2001) which she produced and arranged as well as writing the melodies, and “Dear Heather” (2004). Her solo renditions of ‘Boogie Street’ and ‘Alexandra Leaving’ have been standout highlights of the 2008 – 2013 tours. Her first album ‘Everybody Knows’ was released in 2008 and was followed by ‘Caffeine’ in 2015 and she has subsequently performed both in Europe and North America as a solo artist. The Webb Sisters are a musical duo comprised of the siblings Charley and Hattie Webb. They were born in Kent, UK, and when they were teenagers, the pair began to give recitals all over the country. They met Johnny Pierce, a record producer who invited them to Nashville, where they recorded their debut album, A Piece of Mind before continuing to California where they began work on their second album, Daylight Crossing which was subsequently recorded and released back in the UK. Hattie plays the harp and mandolin, and Charley the guitar, clarinet, and piano and they were recommended to audition for the tour by Sharon Robinson who considered their three voices blended well having previously working together on another project. Javier Mas has commented that it was the harp which won them the tour audition but Roscoe Beck has commented their harmonies made an instant impression that ended his search for suitable back up singers! 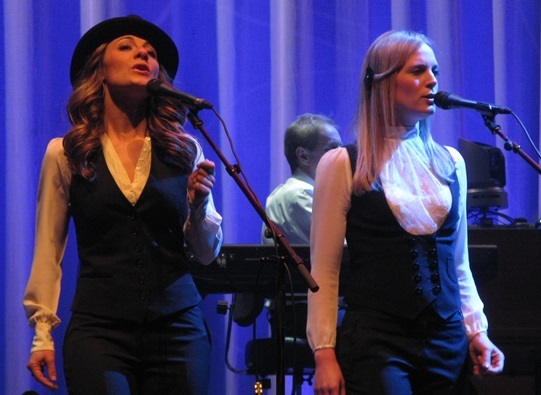 Their elegant onstage cartwheels accompanying the line ‘and white girls dancing’ as Cohen sings ‘The Future’ and a memorable interpretation of Cohen’s ‘If it be your Will ’(which he considers to be one of the best two songs he has ever written), during the tour encores have provided everlasting memories for audiences attending the 2008 – 13 concerts.